What is it about recent David O. Russell films that as soon as I see them, I completely forget that I did? 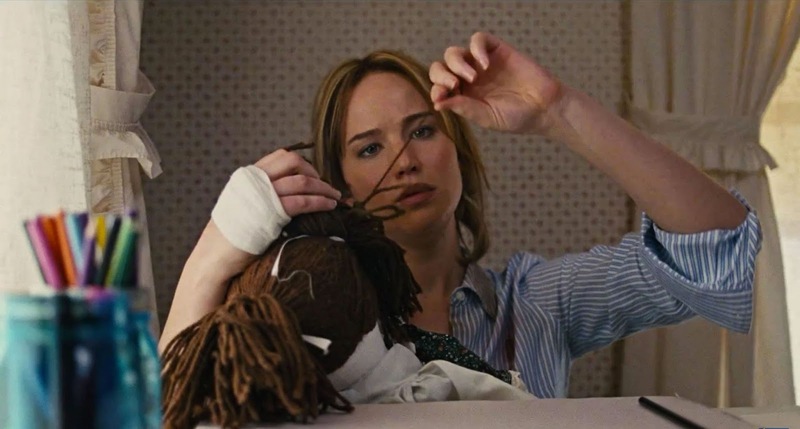 Such is the case of JOY, a film that is essentially a mashup of every single Lifetime movie but which Hollywood tries to soup up with big name stars (*cough* Jennifer Lawrence *cough* Bradley Cooper) and not much else. Oh Mr. Russell, you're nothing if not predictable. Folks still say that Erin Brokovich, which I admire for both its tenacity and spirit, is a mediocre film that only granted Julia Roberts an Oscar because she wore a push-up bra. So if we're going with that logic, I'd say that any awards thrown at JOY would be strictly on account of the fact that Lawrence's character (the titular downtrodden single mom-turned-victorious businesswoman) cuts her hair off toward the end of the film--apparently signifying her rise to badassery. Because I guess any other gesture would not have been as subtle. While Lawrence's natural determination proves useful here, she's still far too remote from Mangano's story to portray her without any irony. And Russell's annoying penchant for humor is even more so here--thus proving neither the filmmaker nor the star have a genuine appreciation for the narrative. Say what you want about Erin Brokovich, but Roberts had a connection to the similar "single mother against all odds" story that never seemed disingenuous. That scene when she's driving and her boyfriend (Aaron Eckhart) is on the phone telling her that her youngest uttered her first word...her reaction to his news crushes me every time. Even when Joy is at the end of her rope, I never found it moving. It just seemed...comical. Trust me, I hate any binary approach to film criticism as much as anyone should, but I found the parallels of Brokovich and JOY fascinating to say the least. This isn't meant as an either/or (both films deserve to stand on their own merit), but it just confirms how imperative it is to have an attachment to the source material/subject. JOY opens in theaters nationwide December 25. I'm really only seeing this because I love JLaw, but the hype in my heart is slowly disintegrating. Great post!